The InvestFourMore Real Estate Podcast is hosted by Mark Ferguson, a successful real estate agent and investor. Mark owns 16 rentals, flips 10 to 15 homes a year, and runs a real estate sales team of ten. Mark also created Investfourmore.com, a real estate blog that gives advice and chronicles his investing. 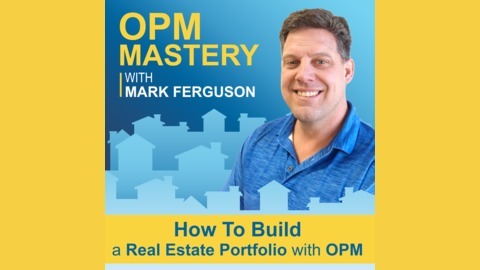 On the podcast Mark interviews successful investors, successful agents, and many other people who are in the real estate business. 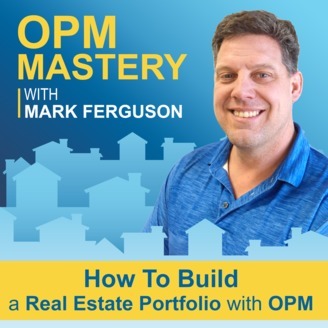 Mark also does solo shows where he goes in-depth on his own real estate investing and strategies like switching his focus from Colorado for rental properties to Florida. Mark also interviews new and beginning investors. This practice allows a new investor to get direct advice on how to get started, how to overcome roadblocks and helps the listeners as well. Mark has been featured on the Washington Post, Time, Yahoo, Zillow, Realtor.com, Huffington Post, and many more major media outlets. Mark has written multiple best-selling paperback and Kindle books and loves hearing from his listeners and readers. On my 150th episode of The InvestFourMore Real Estate Podcast, I go over my business, which has been a little crazy lately. I started a new real estate brokerage in April, which we have been getting up and running as well as remodeling a new space. I am still flipping a lot of houses, but I have not been buying as many flips as I would like too. I have not been buying a lot of rentals, but the one rental I bought this year has been doing very well. On the podcast, I talk about all of this, the challenges, the progress, and the plan moving forward.